Long vest smart choice for petite women? I never would have believed it if I hadn’t seen it with my own eyes. It took me quite some time to get on board with the idea that a long vest could actually make me look taller and thinner. I always thought I needed to show lots of leg to look taller and stop eating everything I love to look thinner. Good news! You don’t have to do either. I found this vest while thrifting and instead of dismissing it immediately, I took it into the change room just to “play”. I already had the maxi skirt on in the fitting room and then rather than change out of it, just added the vest to my outfit. Long over long is not something I would normally consider, but… hey…I kind of liked it! These photos were taken over a month ago, when Spring briefly appeared at the beginning of March. Since then Spring seems to have gone on vacation and winter is back. I cannot wait till it warms up enough to get back outside to take photos again. The vertical lines in this knit vest are my best elongating friends drawing the eyes upwards. The front slit on the skirt shows off my boots when I walk. The single lean visual line of the long partially open vest manages to shave about 5 lbs off my frame. And if you’ve never seen that movie you’ve missed out on one of the scariest movies of all time. 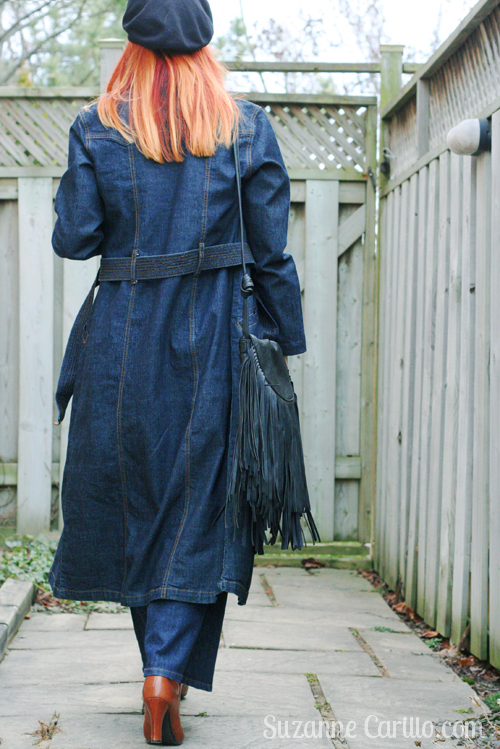 The long denim trench covers everything but the fringe handbag, beret and boots keep it interesting…even from the back. The long over long provides a sleek silhouette that the eyes read as one continuous lean line. Adding a small heel doesn’t hurt either. This outfit really feels like me, which is odd because I never thought I’d wear a long vest with a maxi skirt. But hey, I never thought I’d compare my chest to Jack Nicholson either so never say never kids. Here are a few other petite ladies that wear long vests brilliantly. Susan from Une Femme d’un Certain Âge is a pro at this look…keeping one long sleek colour underneath the vest is very elongating. 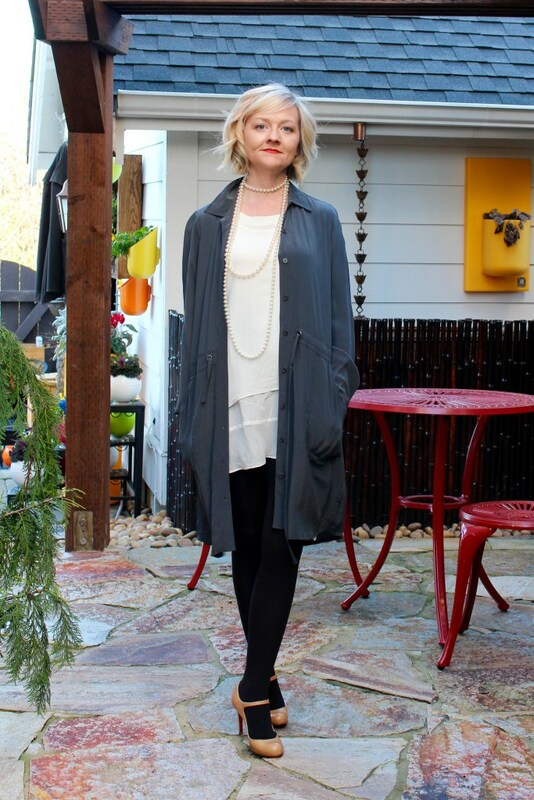 Sherry from Petite Over 40 is wearing a long jacket for the same effect with gorgeous long pearls. She also showed this on her Instagram account, a long pink cardigan that she recently purchased. Sherry said it was a saleswoman in Nordstrom that convinced her this would look great on her and she was right. I think Sherry had the same preconceived ideas as me. Even though as petite women we may be vertically challenged, it doesn’t mean our choices are limited. It means we need to exercise our creative brains a bit more. Personal creativity depends on our willingness to be open and try new things while leaving our preconceived ideas and judgement behind. Challenging ourselves to remain open to new ideas and combinations is what keeps our style fresh and our imagination stimulated. You never know if you will like something until you’ve tried it, on your own terms, when you’re ready. Our eyes and heart need to be willing to accept the new reflection of ourselves in the mirror. There are no mistakes in art, just as there are no mistakes in personal style, only different ways of interpreting what we see. I love long jackets! 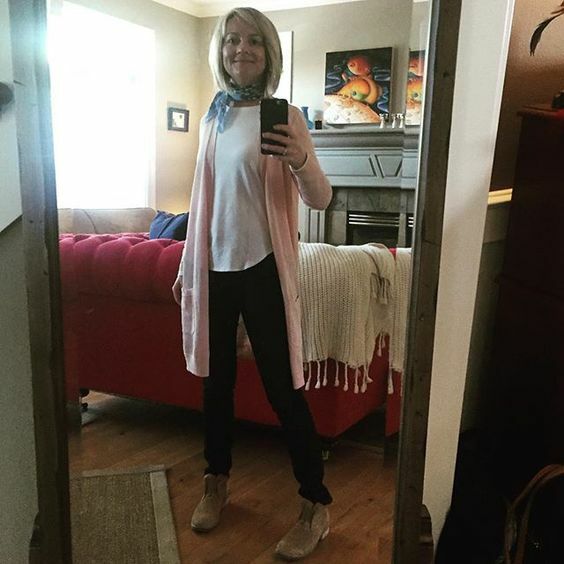 I am not tall as well – in-between petite and regular – but long jackets work so well for me! Thanks for sharing. Your post inspires me! I was just telling Jo-Lynne Shane that I’ve had a long cardigan in my closet for years and probably wore it once (good thing I didn’t purge it)! Because I’ve been wearing it way more lately!! I really like the long cardigans & vests over my dresses—it is quite interesting how our perspective change!! Your long vest—is the print the material or is it crochet? Maybe I need to knit myself one of these? Second, you have a knack for finding unique pieces and turning their potential into great looks. This feat is even more impressive knowing you’re petite as well! The vest, the skirt, and the trench are perfect examples of this. I can’t imagine ever doubting they’d work together so well, but I probably would have been timid about putting long over long initially myself. Heck, I was timid about wearing a long, pink cardigan before the lady at Nordstrom convinced me to try it. Your post proves the value of being open to trying new things, even if there are initial doubts or perceptions that would have previously kept you from trying. The end result is a rockin’ outfit that looks amazing on you! This is such a great look on you! 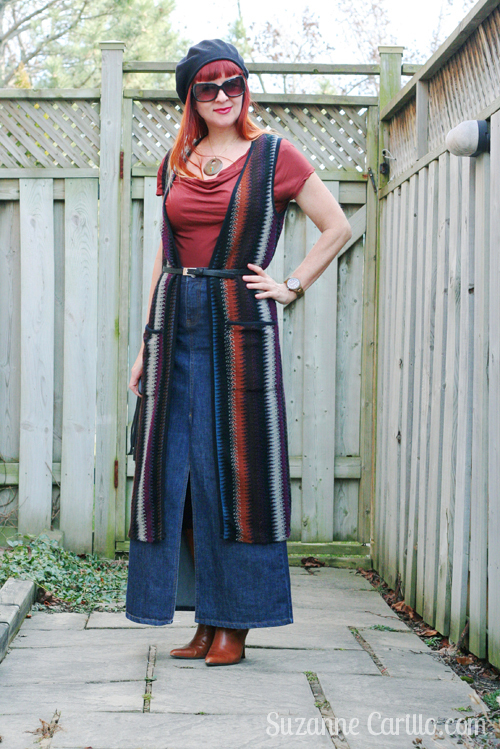 I would have never thought that the long vest would work over the long skirt, but it totally does! I really like the layers! I love long skirts in general though they aren’t always the most practical choice, and I’d definitely wear a long vest if I ever found the right one! This outfit is super cool and looks fabulous on you. I keep thinking I will get adventurous and try new things – but then I fall back to the same old, same old. But you continue to inspire me! Your look is fun and has a great retro vibe! I have never seen The Shinning but read the book and the follow up book and it was scary but so good. Stephen King is one of my favorite authors. Suzanne, you look a mile high. I LOVE this long-on-long look with flashes of boot. And the fringed bag. You’ve created such a cool vintage vibe. Susan and Sherry also look great in their long vests and cardis. If my chest were a movie star or character, I wonder who it would be. I’ll have to think about it. Your chest will now be known as Jack, or The Shining, you realize. Hahaha. I remember Shining! Even if I am not a fan of scary movies, I have already watched it several times!! Also in love with Sherry’s outfit! The long pearl necklace goes perfectly !! That looks fantastic. I love that rusty brown shade on you and the beret is super cool. I used to have a long waistcoat thing like this, but I got rid of it because I never felt comfortable in it, I like how you’ve belted it though, I do that with cardigans, so maybe I’ll keep my eyes open for another one! I have a couple of long vests that I love, and I like the “long over long” look. Did you belt the vest to create more of a waist definition? It probably looks good unbelted as well. 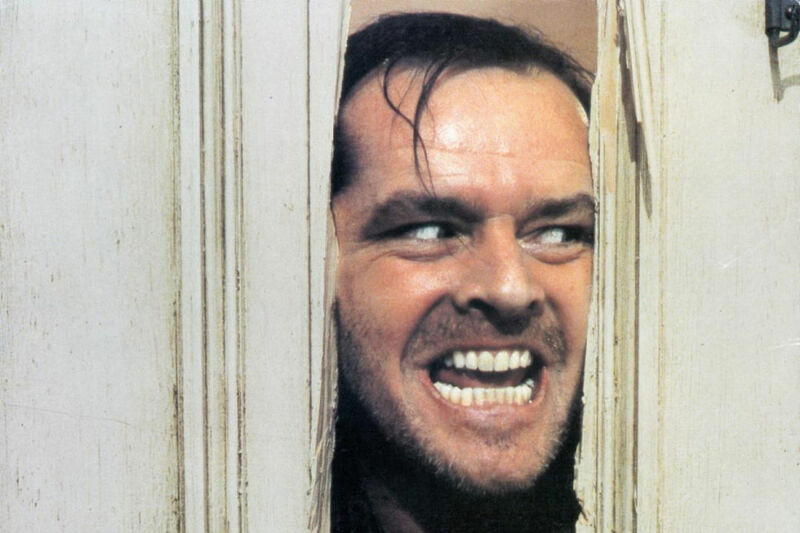 I think we should refer to your chest as “Heeeere’s Johnny!”, which is the line Jack speaks as he busts through the door. 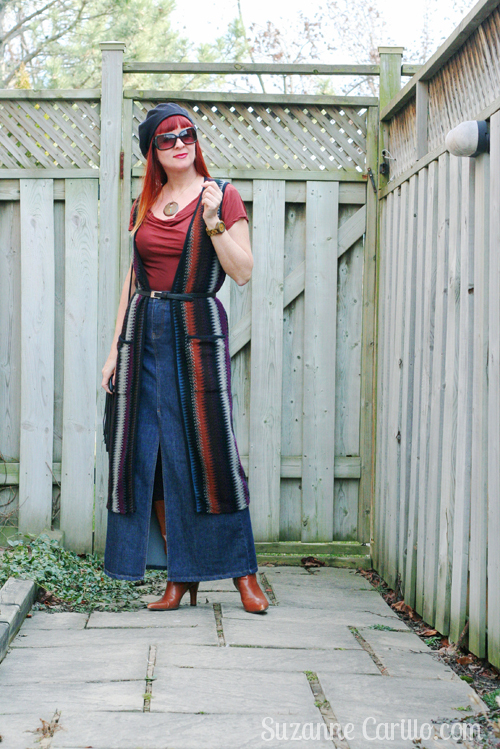 A maxi denim skirt – woo hoo! And wow it looks fab with the long vest. I’ve been wearing long line cardigans for quite a while and as long as you get the proportions right they can look fab on petites! And of course, that denim trench is gorgeous. I don’t think you need to cover the chesticles with the vest to be honest. I mean as one chesticle lady to another, why hide them. They are what nature gave us so embrace the curves! 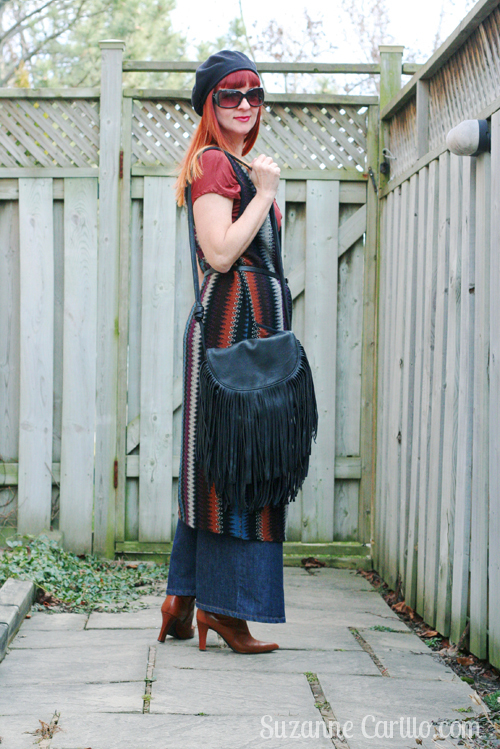 Love the denim trench, love the fringe bag, and you know that I love the long vest. As a constant wearer of long vests/dusters/cardigans I never worry too much if they make me look like I’m wearing something I stole from the closet of a 6’2″ Amazonian woman. You are right, the stripes on the vest definitely give the illusion of height.